“We started a little over 5 years ago by purchasing a small commercial cleaning franchise. My wife, my father, my cousin and I quit our jobs, took a loan out and went all in. It was a rough first 2 years of business for all of us. We all worked 12-16 hour days practically for free, surviving on Dunkin Donuts and Jimmy John’s daily. 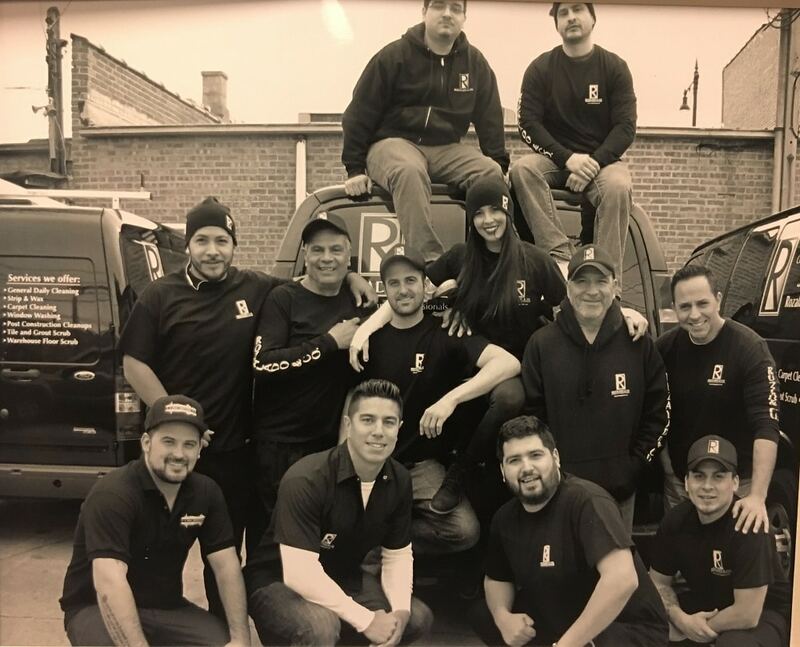 Founded in 2012, Rozalado is Chicago’s fastest growing facility services management company. Headquartered in Chicago, Illinois, we have 3 local offices and are expanding rapidly in Illinois, Indiana, Michigan, Ohio, Wisconsin, Texas and more. With over 200 employee’s and growing daily, we deliver high quality facility services to customers in a variety of markets including office building, restaurants, medical clinics, educational facilities, hair salons and many other commercial buildings while also providing residential cleaning. We are a family oriented company that maintains a culture of respect, a fun atmosphere, a hard work ethic, and a willing heart to give back to the community. Our employees are invested in the success of their co-workers and the company. Rozalado also invests back into the employees own growth by training them on new skills and being internally promoted. We encourage new ideas from every employee and embrace creative problem-solvers. We also pride ourselves on adopting and utilizing the latest technology to streamline our processes and continuously improve upon our services. We are built on a high level of honesty and integrity while providing superior service and maintaining a high quality of work.